Proactive Monsoon XL Stainless Steel Groundwater Pump | Enviro-Equipment, Inc. Capable of pumping up to 120 feet from ground level. Uses Low Flow Power Booster 2 XL "LCD" Controller. 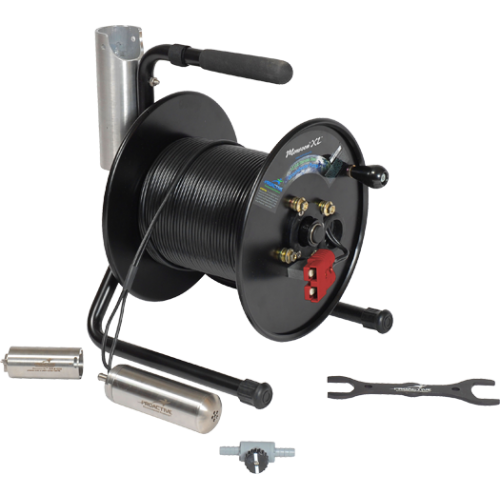 The Stainless Steel Monsoon XL® pump is capable of pumping up to 120 feet from ground level by simply connecting it to a 12 volt battery. Its reliable design is suitable for continuous purging of groundwater wells. Proactive's Stainless Steel Pumps are patented for their unique design (#7584785). Simple to use and extremely powerful! The SS-Monsoon XL® is capable of pumping up to 120 feet from ground level to water level. Simply, connect the pump connector to the Low Flow with Power Booster 2 XL "LCD" Controller, then to a 12 volt battery, energizing the pump. Sound Simple? We think so.